Australia spinner fined 15 per cent of his match fee for a breach of the ICC Code of Conduct during the first Test against South Africa in Durban. Australia spinner Nathan Lyon has been fined 15 per cent of his match fee for breaching Level 1 of the ICC Code of Conduct during the fourth day of the first Test against South Africa in Durban. In addition to this, one demerit point has been added to the disciplinary record of the off-spinner, for whom it was the first offence since the introduction of the revised Code in September 2016. 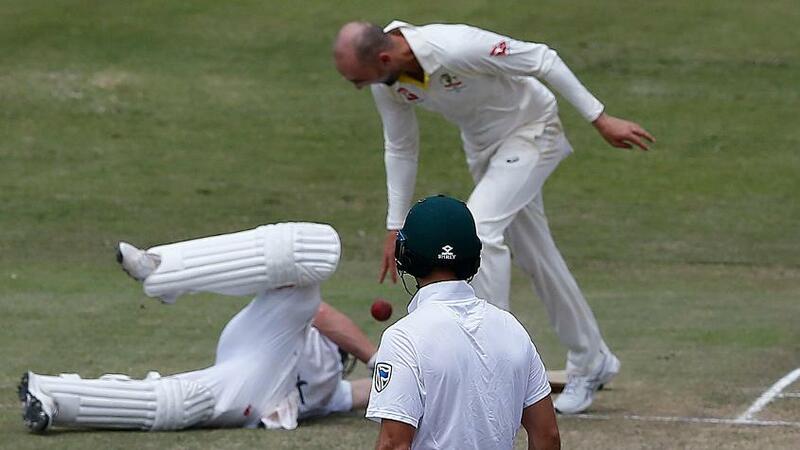 The incident occurred in the 12th over of South Africa’s innings on Sunday, when following the run out-dismissal of AB de Villiers, Lyon dropped the ball hitting de Villiers on the chest as he lay on the ground after diving in an attempt to make it to the crease at the bowler’s end. Lyon admitted the offence and accepted the sanction proposed by Jeff Crowe of the Emirates Elite Panel of ICC Match Referees and, as such, there was no need for a formal hearing.